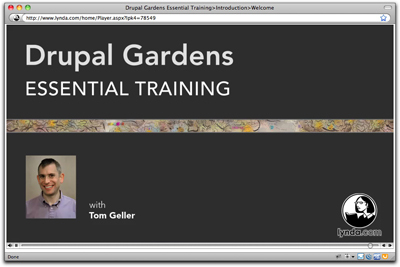 In the hubbub of Drupal 7’s release, you might have missed this announcement from lynda.com that they released Drupal Gardens Essential Training, a 5-1/2 hour video course, on the same day. Timing! Acquia‘s Drupal Gardens provides Drupal-based sites on the WordPress.com model: You log onto Drupal Gardens (currently in beta), type in a site name, select features, click “Create site”, and you’re up and running with an example.drupalgardens.com URL. From there, administration is like ordinary Drupal — with some notable differences that make it more user-friendly. I wrote about the need for a hosted Drupal solution over two years ago. Jeff Whatcott (who at the time was Acquia’s Vice President of Marketing) intimated that “This discussion mirrors very closely a lot of internal discussions I’ve been in around the office at Acquia lately”. Others chimed in with suggestions for what such a service should look like, the top two being: (1) sites shouldn’t look “generic”, and (2) sites for vertical or “niche” markets should be easy to set up. I said that such a service should have features that “make hosted Drupal more user-friendly, such as one-click themes and modules, automated backups, integrated marketing services, etc.”. Those features are all (arguably) found in Drupal Gardens. The Theme Builder, and a good selection of preconfigured themes, prevents sites from seeming generic; the site-creation procedure provides one-click setup for common use cases; and while backups aren’t automated, they’re incredibly easy. “Integrated marketing” is limited to social networks and Drupal’s built-in SEO features, but that’s something. 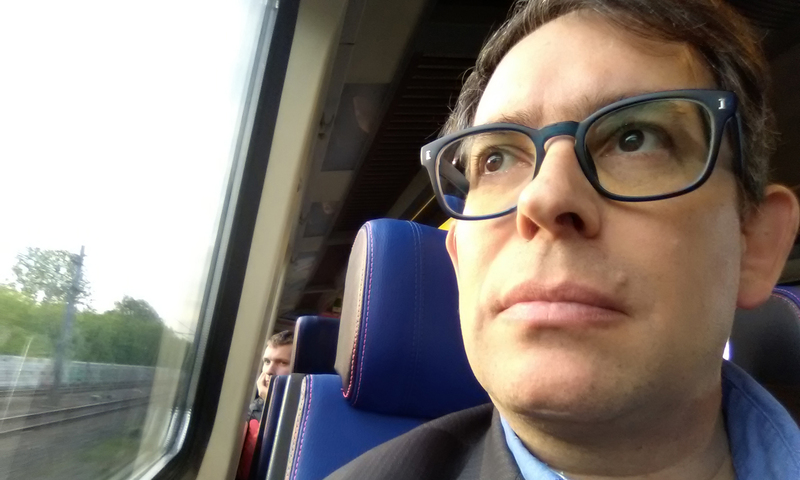 Mr. Whatcott also said at the time that “…if we can crack this code and define a concept for something simple but insanely great, we can bring a horde of new people to Drupal”. He may be right, because someone who starts on Drupal Gardens will be well-trained to administer a site built with core Drupal. For that reason alone, Drupal’s supporters should hope for its success (along with that of its competitors, SubHub and Buzzr). In any case, I recommend that everyone take a few minutes to set up a Drupal Gardens site: Acquia has done a really good job at commoditizing Drupal sites. Congratulations all around. Good insights Tom. I have been really happy to see the progress on the Gardens vision we discussed way back. Success for Gardens helps all of Drupal. I think you will see continued innovation from the Acquia team and rapid adoption for certain classes of sites. It is hard for a service like Gardens to be all things to all people, and I have encouraged the Acquia team to continue to try to find one or two grooves in the market. That will help really build momentum. Nice write up. To clarify “backups aren’t automated”, the Drupal Gardens services automatically backs up every-site every day to amazon S3 to ensure no data is lost. In addition site owners can perform their own backups via the Configuration > “Site export and backup” option. Unlike other services the backups include all files, database and source code for the site so there is no vendor lock-in. We call it OpenSaaS. I hope I made it clear that Drupal Gardens allows users to back up their *complete* sites, including themes, data, and all software, so they’ll run anywhere Drupal can live. I think that’s a huge feature — and shows a great deal of confidence and openness on Acquia’s part. I assumed that you had some sort of behind-the-curtain backup system in case Drupal Gardens generally has problems, but also assumed that individual users wouldn’t usually be able to access those backups — and hadn’t seen anything to suggest otherwise. For example, let’s say I’m editing a Drupal Gardens site and accidentally delete a large amount of work. Would I be able to write to someone at Acquia and say, “Hey, could you restore me from yesterday’s backup”? Anyway, that’s what I was thinking when I said “backups aren’t automated” — I was talking about the POV of the end user. Thanks again for the additional info, and I hope my statement doesn’t mislead anyone.